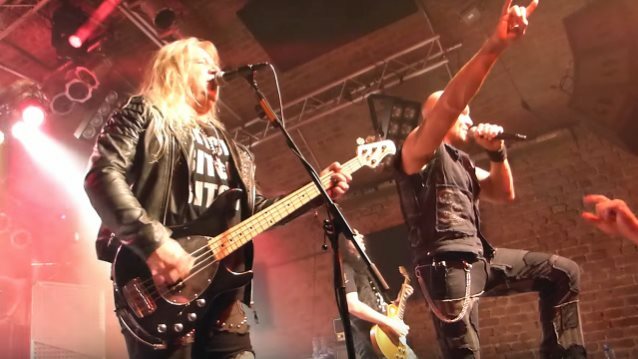 Fan-filmed video footage of German power metallers PRIMAL FEAR performing on October 23 at Matrix in Bochum, Germany can be seen below. 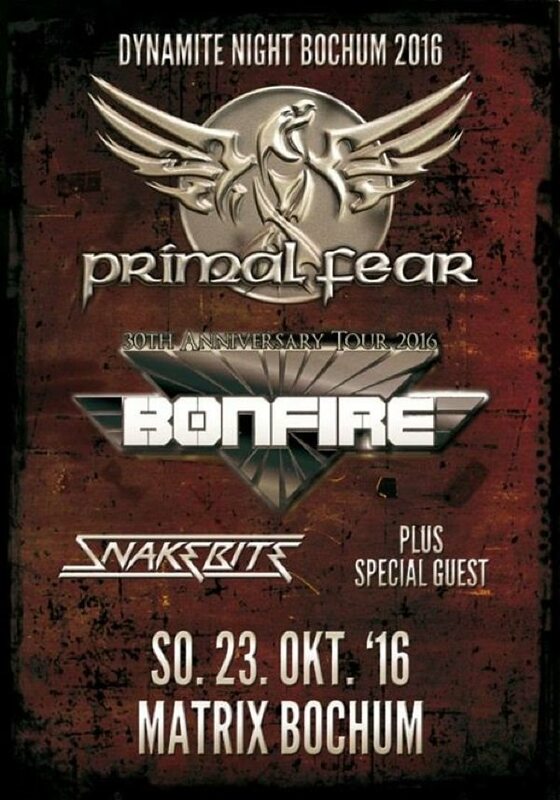 As previously reported, PRIMAL FEAR will celebrate its 20th anniversary next year with a special concert in the band's home country. Vocalist Ralf Scheepers told Metal Master Kingdom before a recent gig in Toronto: "There are now negotiations for one big [anniversary] show. I don't wanna tell so much, because it's gotta be a surprise. There's still one year to plan and to schedule things." Scheepers also said that PRIMAL FEAR has not yet begun work on material for the follow-up to this year's "Rulebreaker" album, "Not so far," he said. "It's a little bit too early. Maybe we'll find some time after the tour to collect ideas then and, basically, next year is gonna be a writing year, so we still have enough time for the next one. But be sure that it's gonna be an extremely heavy metal album." PRIMAL FEAR is also planning to release new concert DVD and CD in 2017. The band's producer and bassist Mat Sinner told Roppongi Rocks: "We've recorded a concert for a DVD and live CD, and this will be the next project. When we stop touring, we will mix it and this will be released next year. Last time we recorded a live album in America, so this time we said we'll do it in Europe." PRIMAL FEAR last year parted ways with Brazilian drummer Aquiles Priester (HANGAR, ANGRA) and replaced him with Francesco Jovino (U.D.O.). In addition, founding PRIMAL FEAR guitarist Tom Naumann — who had been touring with the group for a couple of years — had officially rejoined the band as a full member.